Why Can’t I See My Paid Search Ads? Posted August 15, 2013 by Eric Graham . Google needs to approve or deny your keywords and ad text. This can sometimes take several days. If nothing happens after a week, contact your campaign manager. Double check your budget. If you have a limited daily budget, your keyword bids may be too high. Make sure your keywords, ads, and landing pages are relevant. All of these together help make up the ad’s quality score. The higher the quality score, the higher your ads will appear. Is the ad group active? Is the billing information correct and up-to-date? Google may disapprove your ads for various reasons, some of which include trademark infringement, broken destination URLs, incorrect display URLs, or if the text includes anything illegal (like products banned by the FDA). Once all of your ads have been accepted by Google and you want to see how they look in a live search, it is best to search for them using Google’s ad preview tool. This tool allows the user to see what your ads look like, which ads are triggered by which keywords, the position of the ads, and on what platforms they are being shown. There is no tracking when you use this tool, so you don’t have to worry about messing up any analytics such as ad views (impressions), or clicks. If you decide to do a live search it is important to not click on your ad, because then you are just spending your own money. 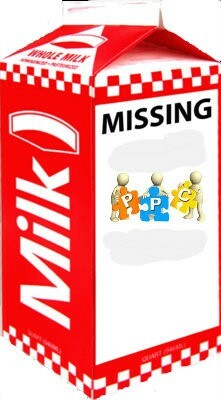 Paid search advertising may seem a little overwhelming, But don’t worry. Automated Marketing Group (AMG) is a full-service marketing agency that will make sure your paid search campaigns are running smoothly and efficiently. We take care of everything from setting up the campaigns to building keywords and ads to reporting, so you know exactly how your campaigns are performing. If you want to grow your online advertising, AMG offers other services that can enhance your Paid Search efforts such as website development, Search Engine Optimization, social media marketing, and more.